Home / Social Justice / Why Can’t Men Be Better? Assuming you haven’t already decided to track me down so that you can burn me in effigy, I implore you to hear me out. To start with, I absolutely agree with the intended message from Gillette. 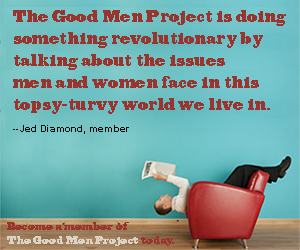 Men as a whole definitely could do better (spoiler alert, so could all members of society), and anything that pushes us towards trying to be the best we can be should be applauded. The actions portrayed towards the end of the advertisement shouldn’t be limited to a select few individuals, and they also should be acknowledged only as the actions of responsible adults. Regardless of gender. The issue I have with a lot of the criticism floating around, on both sides of the critics, is that it is taken in isolation. Consider Egard Watches’ response ad, “What is a man?” The owner of the company felt so strongly to defend men that he launched a response that is both entirely true, while at the same time reinforcing the need for men’s health. Which ultimately is the reason behind the Gillette ad. The Egard Watches’ ad is a great example of why the discussion is far more complex than just saying “toxic masculinity is bad” and stepping away like you dropped the mic. At one point the ad tries to claim that men are protectors because they account for 79% of all homicide victims. It completely ignores the same study found that we’re responsible for 96% of all homicides. If anything, the response advertisement emphasis the need for better mental health programs directed towards men and the impact on society the issue represents. Are we really okay with some of the statistics listed in that ad and the implication that we’re doing well enough as men? As a society? More importantly, what are some of the reasons for the reactions and what can be done about it? As with anything happening today, I feel the issue is far more complex than any single adjective added in front of a collective. The people who are upset at Gillette deciding men aren’t good enough and producing an ad around it. The ones who seemingly are angry enough to make counter statements or create insulting memes to post and whom a lot of people will consider “the others” on their Facebook feed. Why are they so upset? It would be easy to write it off as just those who are okay with the status quo, the patriarchy as it’s been described within the so many current cultural references. To write it off as men who would instead continue to keep women down, their positions of power, or who just don’t see it as anything other than the natural order of things. They almost definitely fall into this demographic and I won’t deny they exist. In fact, I’m afraid they exist in far more significant numbers than I would like to realize. There is a counterpoint to consider, and even if you don’t agree with me, it needs to be at least heard. While I would never argue that any of the above behavior is acceptable or any of the following is an excuse, men are often the whipping post of popular culture. How often are the fathers in sitcom’s presented as mostly clueless or as the comedic relief to just how badly they don’t get it? How often are remarkably developed or intelligent men reduced to stammering dialog if told to express feelings? Hell, Vision in Infinity War is reduced to stammering trying to express his feelings, and he’s supposed to be a super being designed by some of the most intellectual constructs on the planet. I was recently watching comedy shows on Netflix, and while I understand comedians use barbs amongst each other in jest, a female comedian gleefully was expressing how it was finally open season on white males. While there is no shortage of a reason to be furious over the injustices perpetrated throughout history when has hate ever cured hate? When was the last time you heard anyone use the word masculinity without first saying toxic? When was the last time that when making a comparison it wasn’t toxic masculinity vs. healthy masculinity; the underlying implication that just “masculinity” isn’t healthy. I wholeheartedly agree with the intent of the message; men need to do better. Dismissing those who respond negatively to that message with a “how do you like it now” type response is how we end up uniting and validating their anger, not changing it. The ones quick to re-post a meme making fun of the angry critics? The ones quick to make a meme making fun of them? I can’t help but feel they’re jumping on a different me too bandwagon, and it is far more about currying favor with female follows and showing how feminist they can be but only contributing to the problem as well. And again I know this isn’t as simple as a single finger wag. Many are legitimately wanting to see some type of change, but the above behavior isn’t healthy. Everyone has heard the phrase you can lead a horse to water, but you cannot make it drink. You also can’t beat the horse to death trying to make it drink. But what if you can spark a thirst? Shame and bullying have never worked to correct any behavior, at least not for any lasting change. It won’t solve this problem either. If you want to consider yourself an ally, if you’re going to move towards true equality for all, you need to lead by example. How do you spark a thirst? While some of this may hold true for everyone, I’m mostly directing this specifically to men. We (because I need as much practice as the next man) need to be better at understanding others before we try to be understood. We need to set an example for the next generation that defies the social norms of the last generation. We need to encourage the next generation to be exponentially better than ourselves. We need to learn vulnerability isn’t a weakness. We need to learn that we are responsible for our own emotions. We need to show that masculinity is neither toxic or healthy. We need to learn how to lead outside our social circles. I don’t believe the news represents the best men can be. I don’t believe if you’re upset by attacks on masculinity it makes you a wrong person. It does make you the first in line for leading the change. Previously published on Medium and reprinted here with the author’s permission.